Charity Navigator Gives IDRF Top Rating! Charity Navigator is America’s premier 501(c) (3) evaluator. 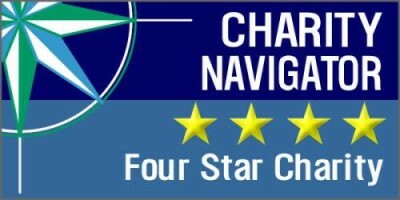 Based on its in-depth, objective analysis of IDRF’s accountability, transparency and financial health, Charity Navigator awarded IDRF four out of four stars! That means you can trust IDRF with your hard-earned money. When you donate, you are supporting grassroots development directly and empowering women and children across India and Nepal. Please visit Charity Navigator to learn more. We are one of the only four-star rated, India-focused organizations in the US!